Access is a particularly child rights defender, community based, non governmental and nonprofit making social organization. 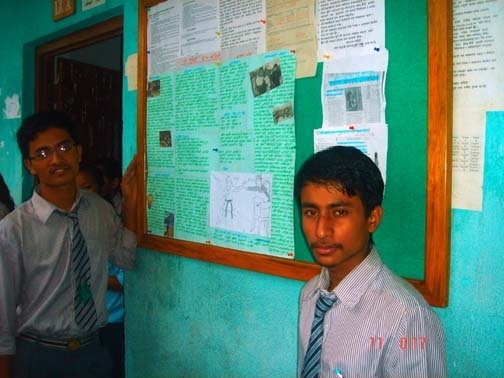 The organization advocates against the worst form of child labor in domestic service in Nepal, where currently 1.6 million children are engaged in various forms of labor. Kathmandu, the capital city of this country alone employs 200000 child labors, out of which 58000 are engaged in domestic work. Child labor exploitation, child sexual abuse, corporal punishment and other forms of neglect, violence and isolation are the major hurdles in realizing a child friendly society in Nepal. Illiterate parents, lack of access or low perceived value of education among parents, poverty, poor laws and inadequate enforcement of the law on prevention of child labors and safeguarding child rights all together have built a strong source of supply of child as a domestic helper from rural area to an urban area. Domestic child labors are invisible as they are mostly confined to the four walls of the household and often have very little contact with the outside world. At the beck and call of the employers on a 24-hour basis, these children are highly vulnerable to abuse and exploitation. Therefore ILO categorizes Domestic Child Labor as one of the worst form of labors. Child labor earns the fame of modern day slavery, which is mocking so called human civilization and of course, this is a disgrace to entire mankind. Access under “Creating Conducive Environment for Child Rights” project running since is striving to protect and promote Child Rights in community, schools and government’s local agency particularly focusing on domestic child labor. Employers’ sensitization, community mobilization, formal school education support, education based outreach center, and child rights responsive school training to school authority are major intervention of the project to end child abuse including domestic child labor exploitation. Employers’ sensitization includes the realization of the ill effect of hiring child labor, and respecting child rights while community mobilization refers to the increasing community role in ending all forms of child abuse. 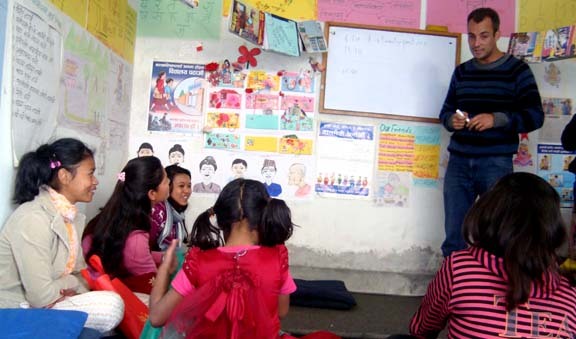 Education based outreach center (ORC) aims at providing an informal education to out of school child domestic workers, enabling them to withdraw from work and join the school. 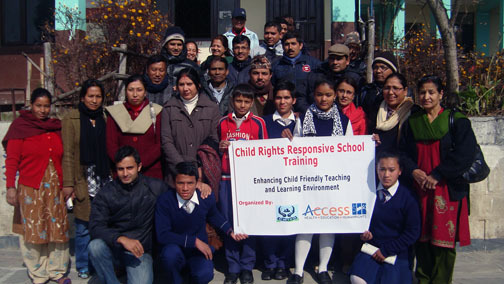 Similarly, child rights responsive school trainings are carried out in community based government schools to address pressing problems of school such as higher dropout rate, poor academic performance, mismanagement, child insensitive environment and so on which eventually distance the majority of school age children from school premises. Community based government schools account for nearly 60% of total students of the country. The proposed safe shelter home caters to the immediate and long term need of rescued child labors from abuse and other children at risk..
2.1.Establish, strengthen, and mobilize local government, communities, and families on child rights protection and against child labor exploitation. 2.2. Provide educational support for out of school domestic child labors to increase access to education and motivate them to withdraw from child labor. 2.3. Provide educational scholarship to the children at risk. 2.4. Promote the role of children and parents in influencing school management and monitoring system. Objective 2.1. Establish, strengthen, and mobilize local government, communities, and families on child rights protection and against child labor exploitation. · Child Protection Committee are formed/reformed having affiliation with local government and functional with child protection initiatives. · Village education Committee in VDC are formed/reformed and actively involved in ensuring the child’s rights to education with mobilization of local fund. · More than 200 children are organized and active through their child clubs at community and school level with recognition from local government and school respectively. · Community consultations are organized targeting employers, children, school, local government (ward, VDC) on their role to promote child rights and reduce child labor exploitation. Objective 2.2. Provide educational support for out of school domestic child labors to increase access to education and motivate them to withdraw from child labor. · At least 80 out of school domestic child labors are to be provided with educational opportunities through 4 education based outreach center. 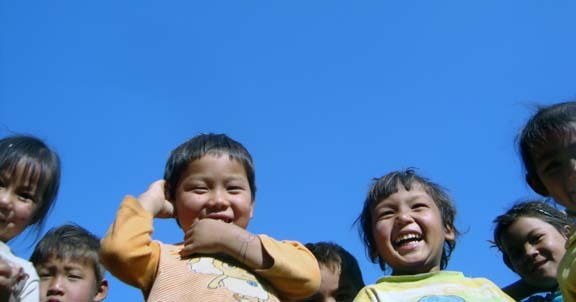 · At least 30 domestic child labors of below 14 years age are withdrawn from the work and reunited with their families. · At least 30 domestic child labors are mainstreamed into formal education at school. Objective 2.3. Provide scholarship for formal school education to the children at risk. · Provide full scholarship to 100 children at risk. The full scholarship bears the total cost of children at school including uniform, tuition fee, exam fee, school meal and stationery. · Provide partial scholarship to 100 children at risk. The partial scholarship includes uniform, books and stationery while remaining cost for tuition fee and other expenses will be borne by family or employer making them responsible for child education. Objective 2.4. Promote the role of children and parents in influencing school management and monitoring system. · At least 400 members of School Management Committee and Parent and Teacher Association (PTA) members of 12 different schools are trained on their roles and responsibility regarding school management and monitoring to ensure improved school management, greater participation of parents and communities through PTAs and SMCs, improvement of school facilities to meet minimum standards, the use of child-centered teaching, and complete schooling for children minimizing dropout rate thus helping children out of labor. · At least 500 members of School Management Committee, Parent and Teacher Association, Child Club members, parents of 12 different schools are trained on Child Rights Responsive School with an objective to create child friendly environment at school helping to keep more children in school longer and out of child labor. 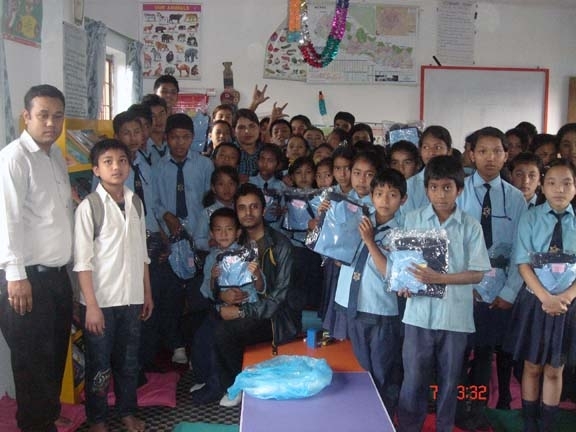 · Provide school education scholarship to 200 children at risk. 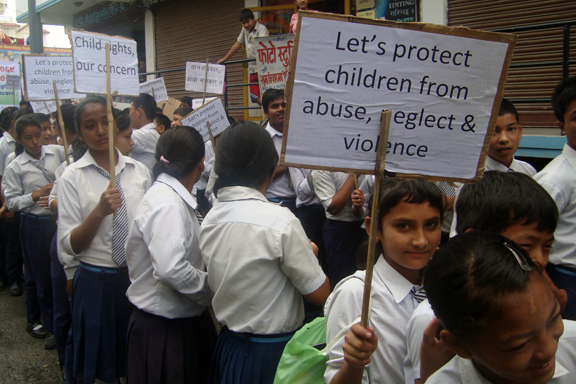 · Re/Formation of 4 VDC level and 12 school based and 2 ward level child protection committee. 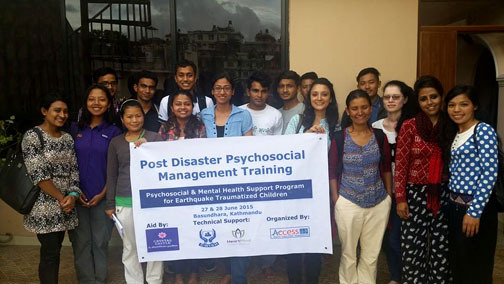 · One day training for child protection committee members. · Formation of 4 village education committee (VECs) and orientation on their roles and responsibilities. · Re/Formation of at least 12 school based and 6 community based child clubs. · Supporting both community based child protection committee and school based child protection committee on child protection rights protection activities. · Run 4 educational based outreach centers targeting 80 domestic child labors. · Run 12 community consultation targeting employers, children, school, local government (Ward, VDC) on their role to promote and protect child rights and reduce child labor exploitation and child sexual abuse. · Organize 2 days training in 12 schools for School Management Committee (SMC),and Parents Teachers Association (PTA) members on their in school management and monitoring. 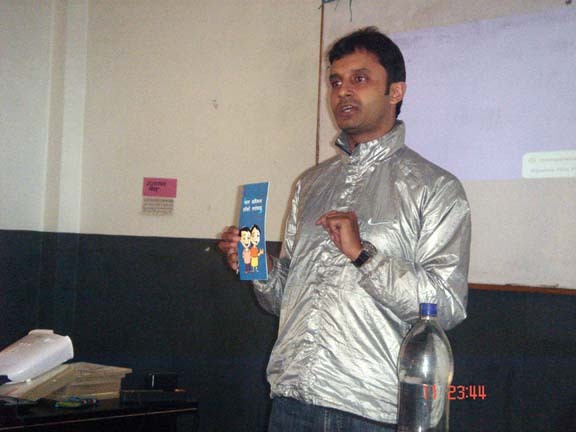 · Organize 2 days training in 12 schools for SMC/ PTA members, parents, child club members on child rights responsive school enhancing child friendly environment at school.